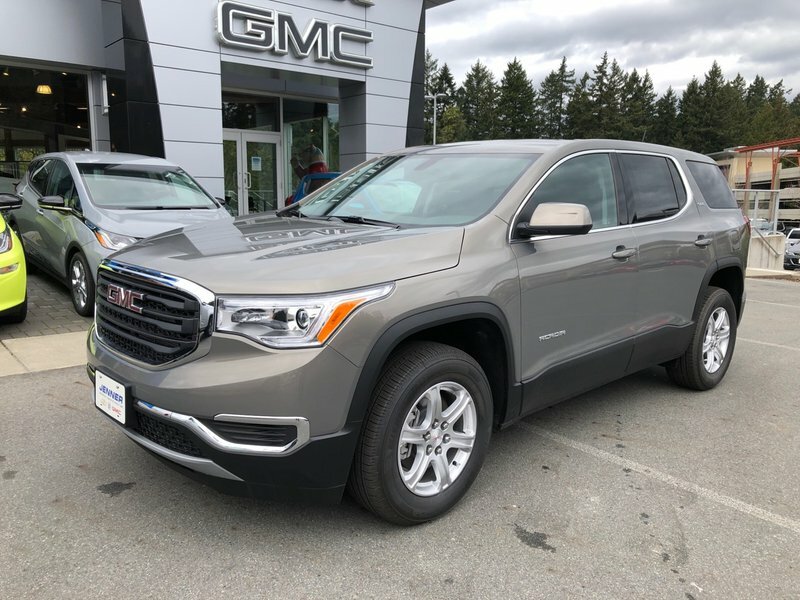 Our smart looking 2019 GMC Acadia SLE AWD is shown off in an attractive Pepperdust Metallic and enjoy how it will meet and exceed your expectations! Powered by a peppy 3.6 Litre V6 that offers 310hp while paired with an innovative 6 Speed Automatic transmission with advanced stop/start technology. With this All Wheel Drive, you will reach near 9.0L/100km on the open road and enjoy responsive handling with functionality that will help you take on your day with ease. Sleek and stylish, the contemporary crossover design of our SLE exudes refinement with LED running lights and beautiful wheels. With our SLE, enjoy a wealth of intuitive technologies including keyless ignition/entry, full power accessories, a driver information display, tri-zone automatic climate control, and a leather-wrapped tilt-and-telescoping steering wheel. Staying safely connected and in control is comfortable with Bluetooth, a prominent touchscreen, the IntelliLink infotainment system, available WiFi, and an incredible sound system with available satellite radio, Apple CarPlay, and Android Auto. GMC offers advanced safety feature like a colour rearview camera, antilock brakes, stability and traction control, airbags, OnStar emergency telematics and even a system that reminds the driver to check the back seats for passengers before leaving. Give your family the security, performance, and comfort that only come from owning an Acadia! Print this page and call us Now... We Know You Will Enjoy Your Test Drive Towards Ownership!